From Manhattan to Milan, Atlanta to Australia, patrons worldwide will emerge on Thursday evening, September 8, 2011 from 6pm to 11pm for the third annual after-hours shopping extravaganza Fashion’s Night Out. For the very first time, the city of Savannah will stand shoulder-ta-shoulder with fashion centers like New York, Los Angeles and Chicago in celebrating this global event. A collaboration between American Vogue, the Council of Fashion Designers of America, NYC & Co., and the City of New York, this initiative launched in 2009 to spark consumer confidence during the economic downturn. Fashion’s Night Out (FNO) is an evening for shoppers to mix, mingle, and participate in premiere events that will include celebrity guests, musical performances, art installations, and more. In partnership with the City of Savannah through its Department of Economic Development, all fashion and design boutiques in the city are invited to join in and become a part of this inaugural event. Participating businesses will host workshops, featured artists, featured designers, live music, catering, complimentary makeovers, tastings, and consultations during the event. “The fashion, and retail business community in Savannah is an integral part of our local economy. 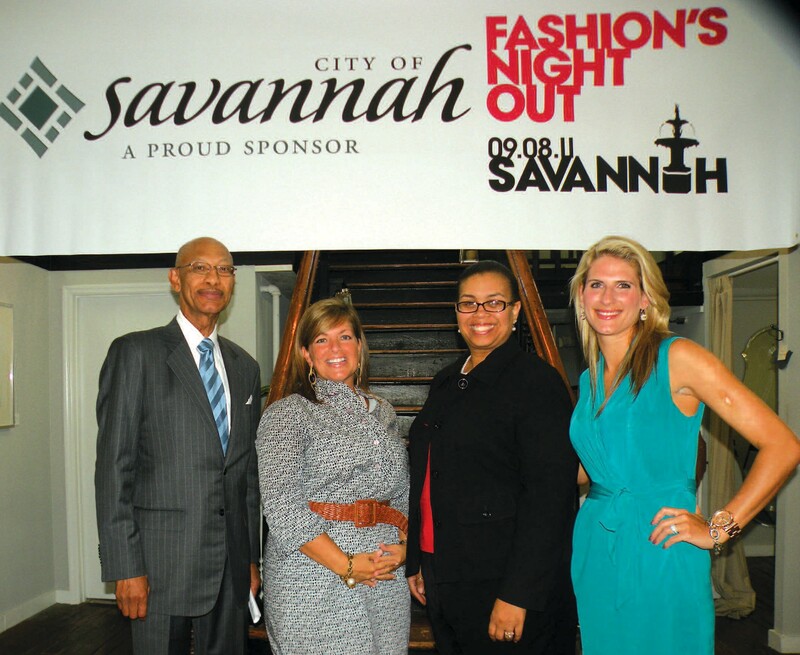 Fashion’s Night Out gives the city an opportunity place a spotlight this segment and to encourage Savannahians to come out and re-discover our focal retailers. This event is a city wide celebration for all businesses in Savannah,” says MarRonde Lumpkin Lotson, Director of Economic Development for the City of Savannah. A public information session will be held on Monday evening, July 25th at 6:30pm at Avia Hotel, 14 Barnard Street, Savannah, GA 31401 for interested business participants.